At Hanscom Park UMC, we have committed to sharing God’s love in word and deed…and sometimes in vegetables. 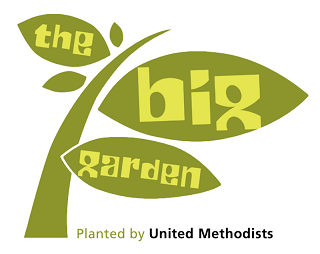 Our Big Garden on the south lawn of the church is open to anyone in the surrounding community who would like to help tend and care for the plants and reap the harvest later in the summer. A gardening group from the church meets weekly during the gardening season. We are currently planning and visioning for how to serve the community even better in and through our Big Garden in 2019. Watch this space for details! The garden also is home to Gathering Hope: A Mental Wellness Gardening Group. Gathering Hope seeks to create a space to grow….where adults working towards positive mental health can increase wellness, become invested in a community, grow great food, and build resiliency together. This is a group for HPUMC members and non-members alike. Gathering Hope meets weekly during the gardening season.